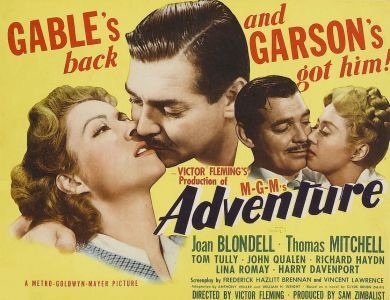 It’s famous for the tag line, “Gable’s back and Garson’s got him!”, but MGM didn’t do Clark Gable any favors with his first film after war service,ADVENTURE. 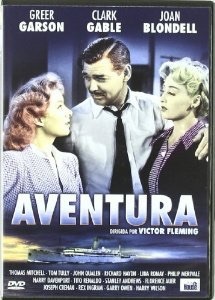 Clark Gable,Greer Garson and Joan Blondell do their very best but can’t overcome a weak script. Gable (as Harry Patterson) and his mates (Thomas Mitchell,Tom Tully, John Qualen and Richard Haydn) are in the merchant navy during the war. They enjoy being at sea,having a girl in every port.No responsibilities,no decisions to be made. Having a good time is all that matters. 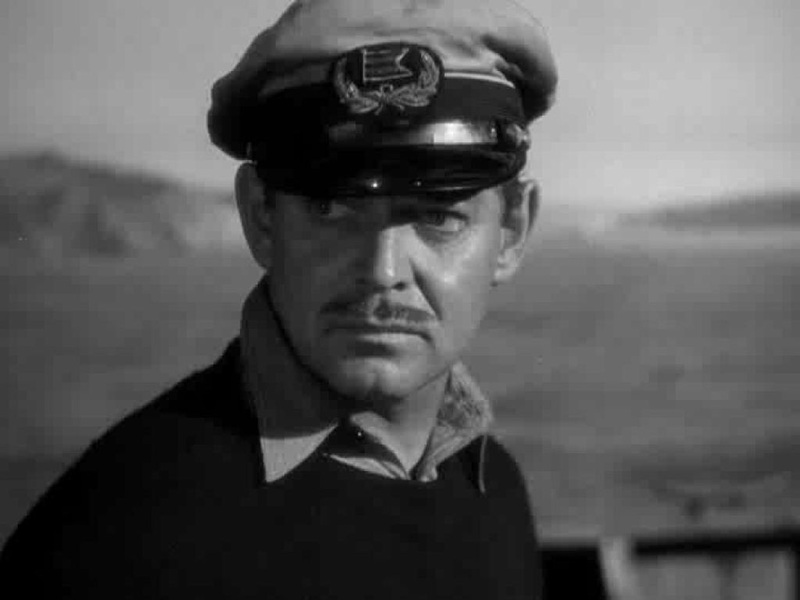 When their ship is torpedoed,they survive in a life raft.Thomas Mitchell (as Mudgin) swears he will give up drinking,women and fighting if they are rescued – which they are. When they land in San Francisco,Mudgin finds it hard to stick to his promises and fears that he has lost his immortal soul. He and Harry are passing a library and Mudgin thinks he can get help. 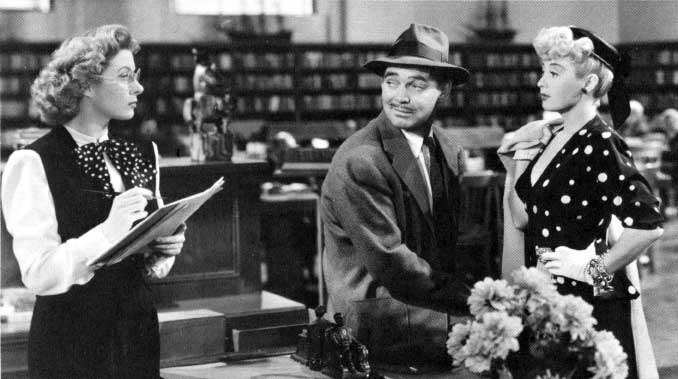 Librarian Emily (Greer Garson) is sympathetic to Mudgin’s fears. Emily’s friend, Helen (Joan Blondell) comes in and is immediately smitten with Harry. But Emily and Harry keep needling each other. And so,the slow – very slow- plot continues,with a quick Reno marriage for Harry and Emily, and an equally quick divorce – Harry has no plans to quit the sea and will be happy to see Emily every 6 months or so. An hour in, and I’m thinking when is this story going to take off. But it never does. In a scene straight out of Gone With The Wind,director Victor Fleming arranges Clark and Greer for their first kiss below a shining sky with both in shadow. John Qualen (sans Scandinavian accent) as ‘Model T’, Tom Tully as ‘Gus’,Richard Haydn as ‘Limey’ make the most of their roles and are thoroughly likable. Thomas Mitchell almost steals the film with his portrayal of the lost soul. 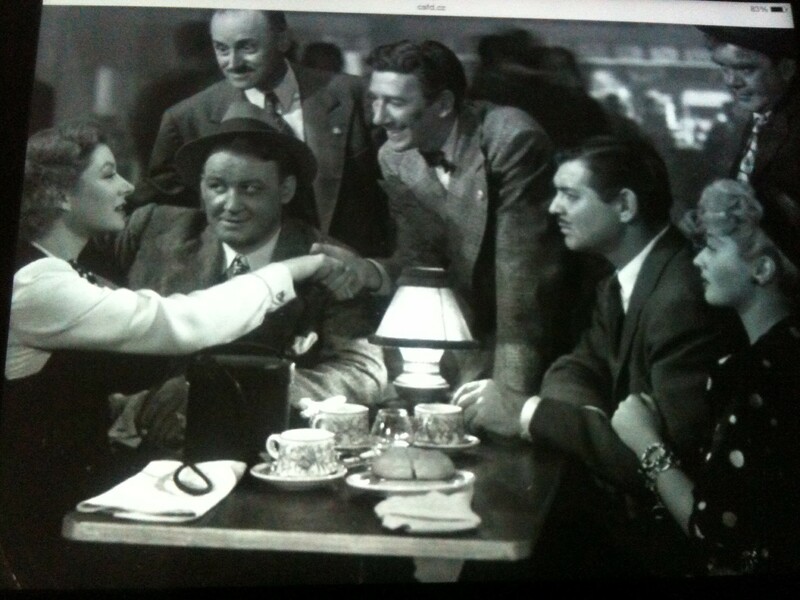 Thomas even has a death scene similar to Only Angels Have Wings,with Gable by his side rather than Cary Grant. Listed on IMDB as 1 hour 35 minutes, I timed it at 2 hours 5 min. – far too long. There was a better,lighter story there, with just Gable and Blondell in the leads. I didn’t see any chemistry between Clark and Greer. You’d never guess Clark hadn’t been before a camera for two years. He looked in great shape and tried his darndest to make his character likeable. 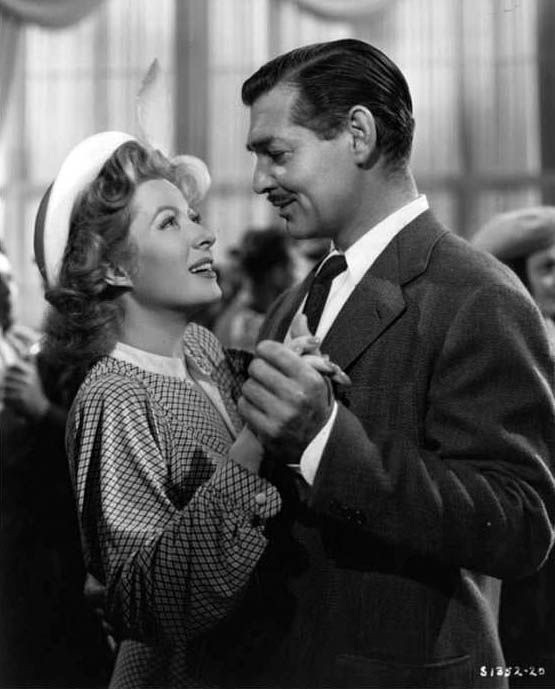 ADVENTURE ( a misleading title if ever there was one) didn’t hinder his career, but it sure didn’t help Greer Garson who was reaching that age in Hollywood (40) when a female star’s career goes into terminal decline. Incidentally, she looks so beautiful in this. I’ve heard of this but never seen it. It’s a shame Gable’s post-war career was so patchy – he still had it but the scripts he was given didn’t always bring out the best in him. Obviously I can’t rcommend it, but just my opinion. With a cast like that, I expected so much more.